India plans to eliminate tuberculosis (TB) by 2025, and has identified screening and prevention as key activities. 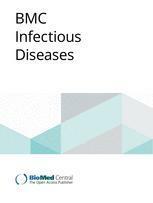 Household contacts (HHCs) of index TB cases are a high-risk population that would benefit from rapid implementation of these strategies. However, best practices for TB prevention and knowledge gaps among HHCs have not been studied. We evaluated TB knowledge and understanding of prevention among tuberculin skin-test (TST) positive HHCs. While extensive information is available in other high-burden settings regarding TB knowledge gaps, identifying how Indian adult contacts view their transmission risk and prevention options may inform novel screening algorithms and education efforts that will be part of the new elimination plan. We approached adult HHC to administer a questionnaire on TB knowledge and understanding of infection. Over 1 year, 100 HHC were enrolled at a tertiary hospital in Pune, India. The study population was 61% (n = 61) female, with a mean age of 36.6 years (range 18–67, SD = 12). Education levels were high, with 78 (78%) having at least a high school education, and 23 (24%) had at least some college education. Four (4%) of our participants were HIV-infected. General TB knowledge among HHC was low, with a majority of participants believing that you can get TB from sharing dishes (70%) or touching something that has been coughed on (52%). Understanding of infection was also low, with 42% believing that being skin-test positive means you have disease. To assess readiness for preventive therapy, we asked participants whether they are at a higher risk of progressing to active disease because of their LTBI status. Fifty-four (55%) felt that they are at higher risk. Only 8% had heard of preventive therapy. Our TB knowledge survey among HHCs with evidence of recent exposure found that knowledge is poor and families are confused about transmission in the household. It is imperative that the Indian program develop tools and incentives that can be used to educate TB cases and their families on what infected HHCs can do to prevent disease, including preventive therapy.